We made this cute crab lunch using 2 pieces of bread, peanut butter, strawberry jelly, 1 red apple, 1 large marshmallow, and 5 raisins. We cut our bread into a circle. We spread peanut butter in between the bread. Spread the jelly on the outside. Cut the apple in half and cut that half in another half. Cut out a V shape to make the claw. Save the scraps for the little legs and arms. Cut the large marshmallow in half and place those on the top for the eyes. Put on the raisins for the eyes and mouth. Cut the scraps in 3 strips to make the legs and cut off two pieces to make the arms. We wanted to make use of the whole apple. 1 apple will make 2 of these lunches. « Previous PostHumpty Dumpty sat on a S’mores pop! Next Post » Ring Ring…It’s a Phone Fruit Snack! How fun…and the plate is the perfect background! I am not a seafood lover, but I would definitely eat this crab lunch. Super cute Jill! He's cute, silly and he looks like he's about to pinch! Ha! Ha! Love him! This is so beyond adorable! It would be really cute for a pirate party or a playdate! Can you come link it to my summer party series link party? Hi! This is so cute! Sure to get the little ones eating! New follower from the Blog It Forward Tuesday Hop! Please stop by http://aboutamom.com to say hi! 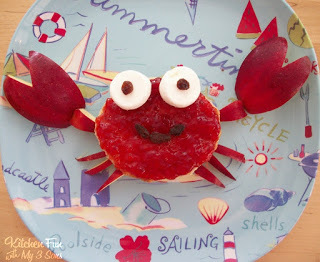 Just made our crab sandwiches for lunch. SOOOO cute. You should have seen the looks on their faces when I told them 'crab sandwiches' were on the menu for lunch. Lots of groans. They devoured them. Thanks for all of your GREAT ideas. That's awesome…so glad they liked them! Oh my goodness – this is absolutely adorable! 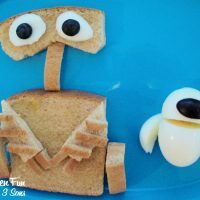 Definitely going to make this for my little guy's lunch. Thanks for sharing! That is oh so cute. I'm your newest follower. Oh, I'm so glad I found you. We do Fun Food Friday every week at our house and I post them on my blog, so I'm always looking for new ideas. Stopping in from This Chick Cooks…looking forward to poking around. Adorable! 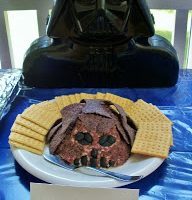 I think this might be on the lunch menu for today! I love this idea. I will have to try this idea with my boys. You continue to amaze me. So clever! What a great idea for a pirate party, beach party, or even a zoo party. This is seriously so cute. You are so dang creative!! I am making this for my kids this week. Thank you so much for linking up to Strut Your Stuff Saturday- we would LOVE to have you come back tomorrow and link up more of your great posts! We also wanted to let you know that we will be featuring this great post on our blog tomorrow, so feel free to stop by and grab a button! Very good imagination. 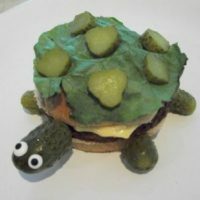 Lots of fun with your food, and a good way to encourage children to eat their food!